Greetings, friends of Chief. 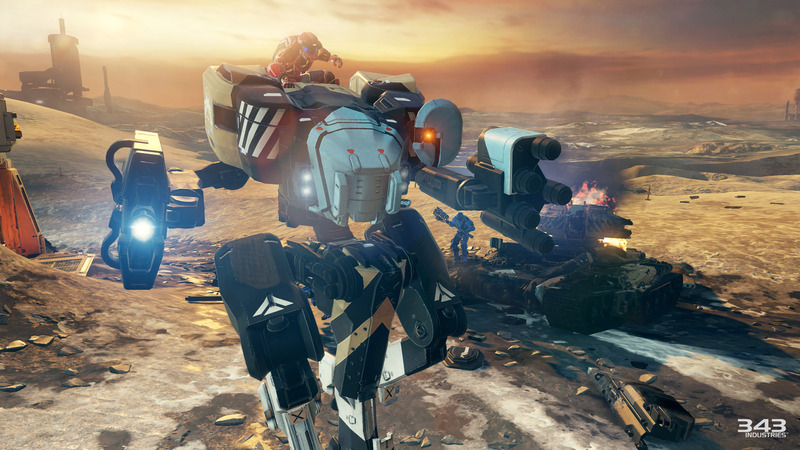 Today, we’re talking new stuff, including more Ghosts of Meridian, Warzone Turbo, and more. Let’s go! To start, we’d like to thank those of you who have provided feedback in region-specific matchmaking threads on Waypoint as well as r/Halo. Earlier this morning, the team made a series of adjustments that should improve the experience and matchmaking speed for players who have been impacted. Hop on and let us know how it goes. 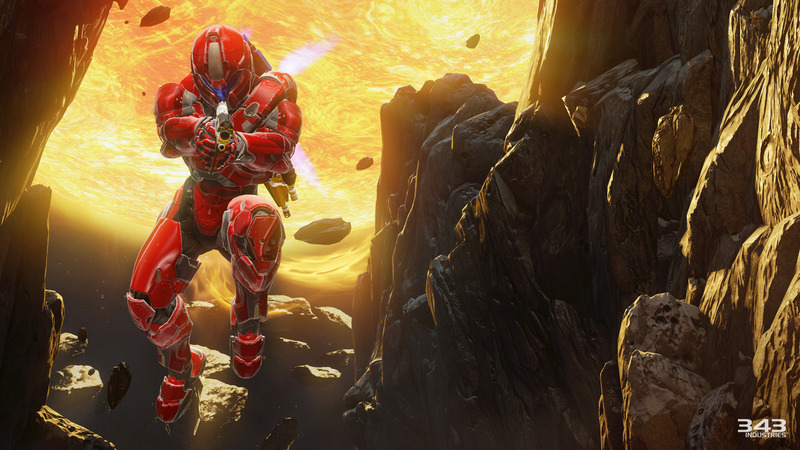 Next, let’s talk about this weekend’s featured playlist: Warzone Turbo. 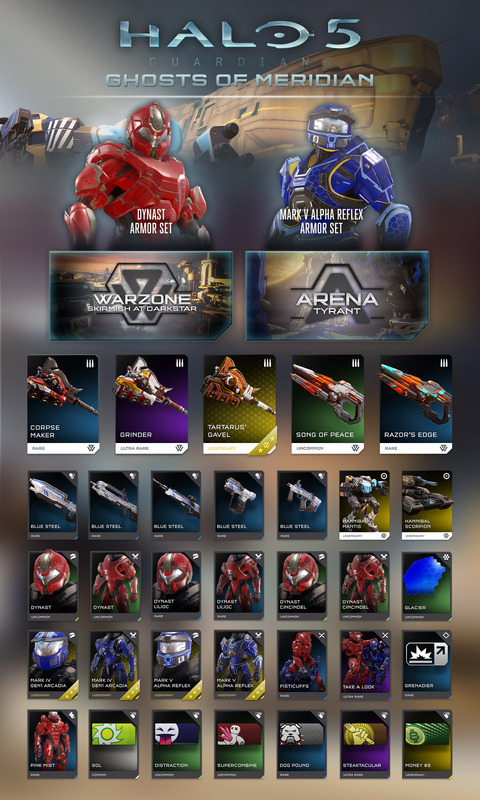 After a bit of extra polish, a couple tuning tweaks, and a handful of scattered adjustments later and Warzone Turbo is ready for your enjoyment. I look forward to jumping into the playlist and joining the pandemonium with you all this weekend! 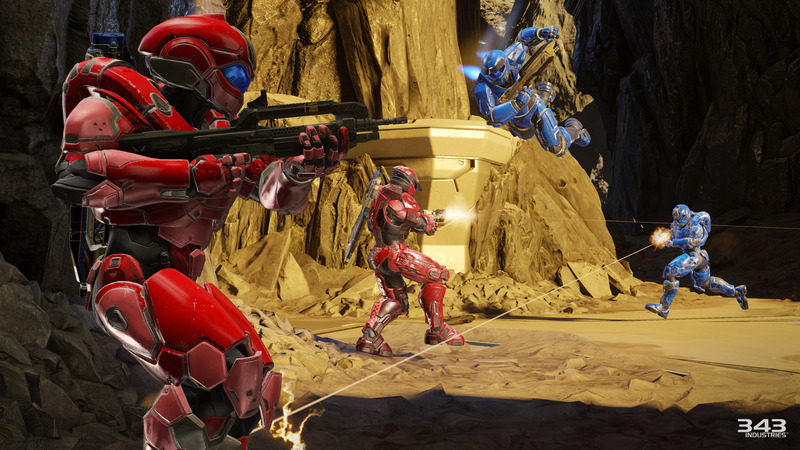 Warzone Turbo is available now, and will be available until Monday morning, April 4th. After you’ve played, be sure to pop into the dedicated feedback thread and let us know what you think. Ghosts of Meridian is scheduled to drop next week, and today we’re showing off more of what’s inside. 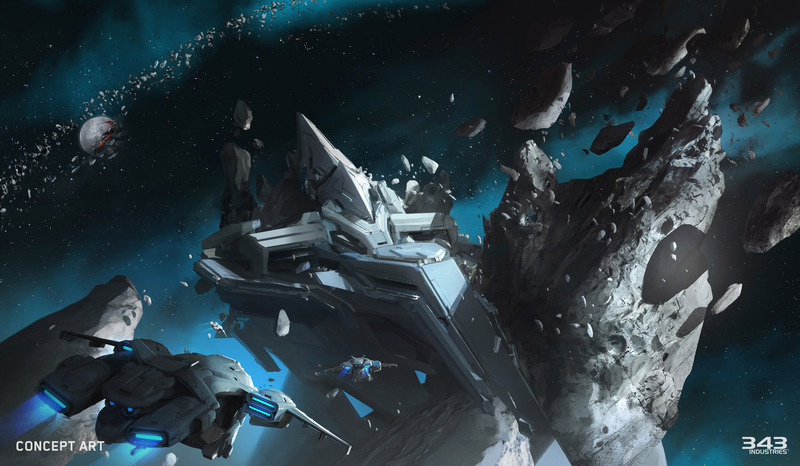 The idea is a forerunner structure has been struck by an asteroid and caught in an astroid belt. This is an establishing shot to show the exterior and establish mood and lighting. There was back and forth on the structure itself so I believe the final design is different from the concept. 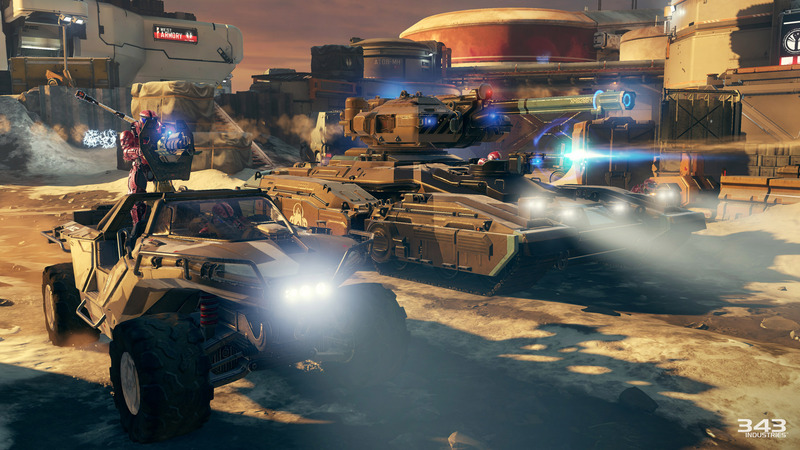 For some new looks at the new Warzone map, be sure to check out today's Gamespot article. To hold you over until next week’s live stream, here are a few more details from the multiplayer team, as well as some new screenshots. 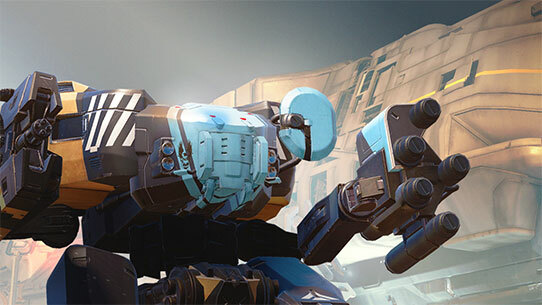 Darkstar has more of an infantry focus than other Warzone maps. Dense structures in the center of the map provide plenty of cover and alternate paths for on-foot players, and expansive areas on the map borders provide a playground for vehicles. The match starts on a map overrun by enemies as Darkstar is initially under control of a Promethean Scout and his forces. Players are Pelican dropped facing the center of the map, the team who gets the Takedown will have the initial advantage. Outside each of Darkstar’s Home Bases is an interactive gate that players can open or close to impact the flow of the match. To catch a preview of everything above and more, be sure to tune into next week’s live stream – Tuesday, April 5 at 3PM PDT on Twitch.tv/Halo and the Halo Channel. We’ll see you then! Grifsketball is a spin-off of Grifball, where players attempt to score points by throwing or dunking the ball. 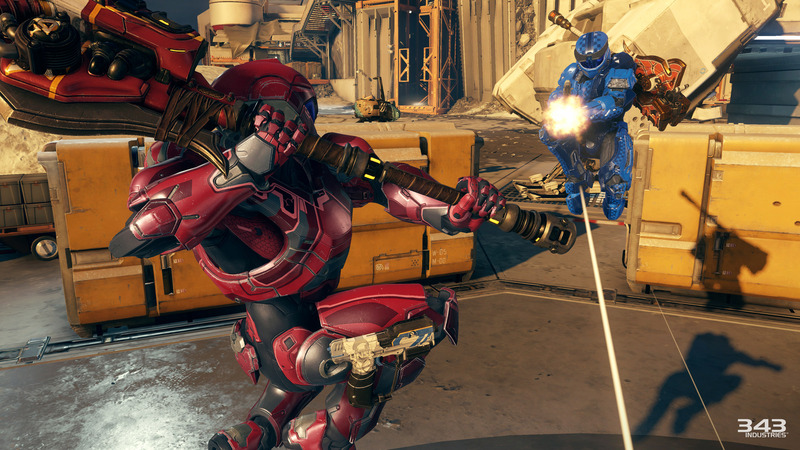 Similar to Grifball, Grifsketball spawns players with the Gravity Hammer and an Energy Sword. 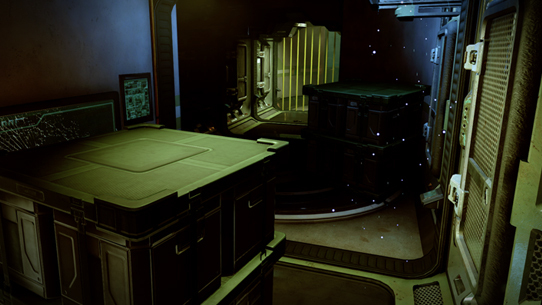 Unlike Grifball, the players jump much higher and the knockback is much stronger, while Friendly Fire is weaker. Players clashing swords and hammers will launch away from each other, allowing the ball carrier to make a break for the hoop. The ball carrier has faster movement speed and can jump higher, but anyone with a sword will be able to use their lunge to knock them out of the air. When scoring the ball, throwing it in will net the team 3 points. When dunking, you'll gain 4 points, but have a high chance of dying in the process. You'll see that dunking a ball into a pit of fire may be a bit dangerous. 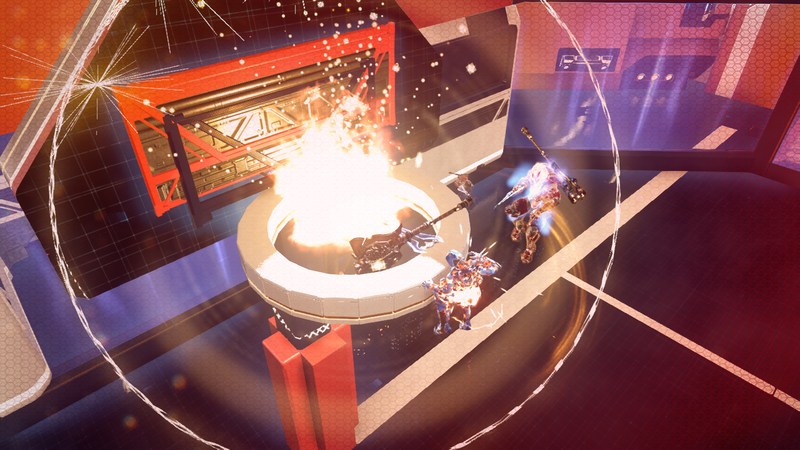 Players are able to use their Ground Pounds as an area of effect knockback tool. It allows players to clear areas of space so they can let the ball carrier through. The trade-off of this is that the Ground Pound does very little damage. You're also able to throw your allies around with this, so be careful. It can be useful to launch your ball carrier quicker across the map, but at the cost of damaging them. 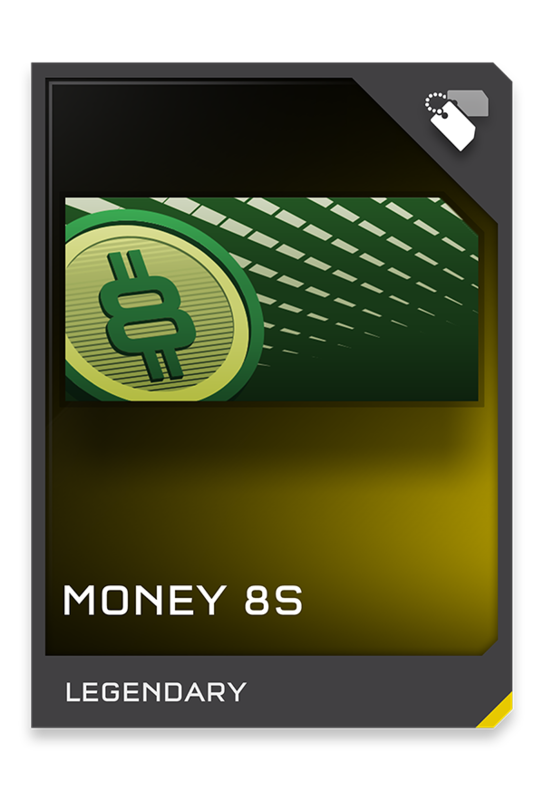 I hope you and your friends will have fun on the Grifsketball map variants, which you can find on my Bookmarks (GT: Vorked Manback) alongside the game mode. Look out for HangarBall, AbyssalBall, HoopsBall, and SpaceBall (Curtousy of DrumStepped). Remember, HangarBall and AbyssalBall can support as many players as you can throw at them! To see the game type in action, head here. Next up is the Mitake Machine, and all of the videos found on the GeSAU YouTube channel, originally spotted by r/Halo’s u/UnsortedGaming this morning. This Forge masterpiece is awesome, and the videos only get better. You can find this amazing creation under the gamertag toketake. This week’s clip goes to SpiTshoT one, who pulls off some nice defensive work with the Sniper Rifle on Plaza. In German. That’ll do for this week, friends. 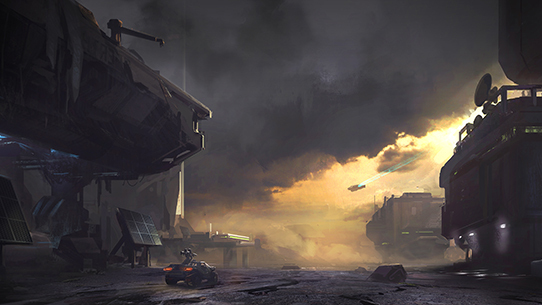 We’ll see you next week for the Ghosts of Meridian live stream – Tuesday at 3PM PT on Twitch.tv/Halo.